French videogame powerhouse Ubisoft saw its share price surge over six percent on the Paris CAC stock exchange Thursday, buoyed by record global sales of its "Far Cry 5" shooting game. Within just a week of its launch the latest instalment in Ubisoft's blockbuster franchise pulled in $310 million (253 million euros). "Far Cry 5" is now the fastest selling title in the franchise's history, Ubisoft said in a statement on Wednesday. It pits players against a dangerous, violent cult, and is the first in the series to be set in the United States. Previous editions played out in places such as jungles in Africa, Himalayan mountains and an archipelago in the South Pacific. The game sees players immersed in an ultraviolent world, fighting "a fanatical doomsday cult", Ubisoft said. "Far Cry 5 offers players total freedom to navigate a serene-looking yet deeply twisted world as the new junior deputy of fictional Hope County, Montana," it added. 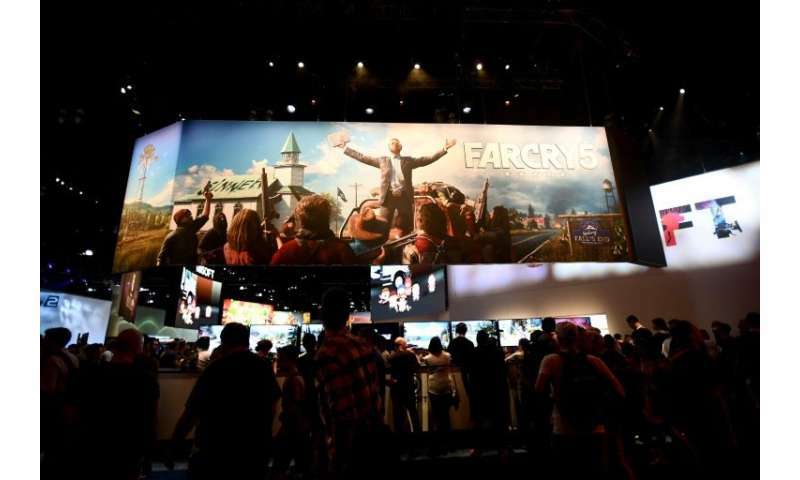 The idea of bringing "Far Cry" to the US was considered early in the franchise, but it was only after political tumult gained momentum in recent years that the plan cemented, executive producer Dan Hay said last year. Hay insisted that the game is not a commentary on politics in the United States, while admitting it was developed amid feelings that American society wasn't as safe as one might hope. "I'm proud that the culmination of years of passionate work from the team is paying off, and that Far Cry 5's experience resonates with so many people," Hay said, according to the latest statement from Ubisoft. In Thursday morning trading, Ubisoft saw its share price jump 6.3 percent to 70.90 euros. On Wednesday, the group said "Far Cry 5" had become its second best-selling game on launch after "Tom Clancy's The Division", an online role-playing game released in 2016. "Far Cry 5", released on March 27, also became the fastest-selling game in the series, going twice as fast in the first week since its launch as the previous instalment, Ubisoft said in a statement. More than half of the sales were online, it added. Ubisoft has sold more than 40 million copies of "Far Cry" overall since the first instalment launched in 2004.